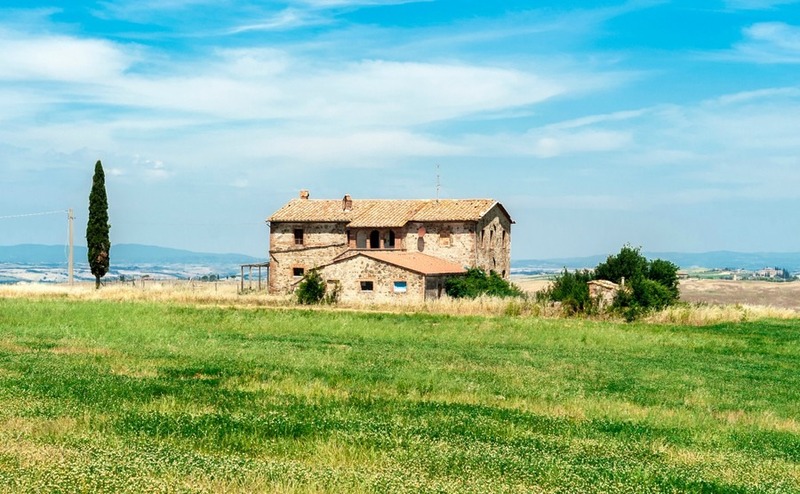 There are a lot of extra things to look out for when viewing country houses in Italy; everything from where the internet arrives in the house to where the plumbing leaves it! But when you find that lovely house and settle into the country life, trust me, it will all be worth it. Back home you may be accustomed to using lots of electrical appliances at once, having mains water, high speed internet and walls with cavity insulation and damp course. In the Italian countryside you can’t assume any of these things will be present. Even if a house has been extended and improved over the years, don’t be blinded by the freshly white washed walls. Make sure you thoroughly investigate before agreeing to a purchase. There are many country properties that have been vacant for a while or have only been used as a summer house or to store farm equipment. Just as some of us go camping on a summer weekend, the Italians might get some food together and drive out of the city to their little place in the hills. They might only need basic facilities and the building itself might only have been built for this simple use. Even if a house has been extended and improved over the years, don’t be blinded by the freshly white washed walls. Make sure you thoroughly investigate before agreeing to a purchase. From my own experience, and that of local friends, I have compiled the following list of things to consider. 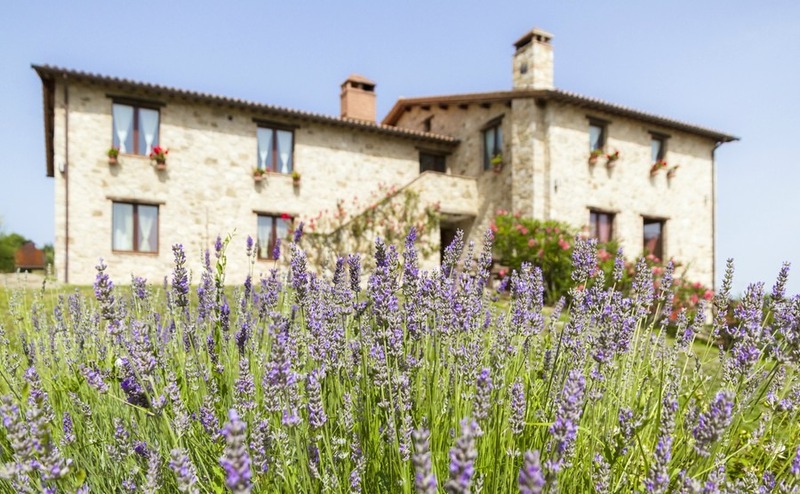 These are the questions you need to ask when viewing country houses in Italy. Look at the condition of the road leading to the property. Could it be too steep, narrow or muddy for delivery trucks? While admiring the amazing view across rolling hills, consider how many of them you are prepared to drive over on a wet day, just to get a pint of milk. What is the driving time to the nearest town, shop, airport, school, doctor and hospital? You may be fit and well now, but an illness or injury can affect anyone at any age. How near are the neighbours and are they friendly? A good neighbour is worth their weight in white truffles. Particularly when the electricity company asks to run electric cables across their land to reach your property. 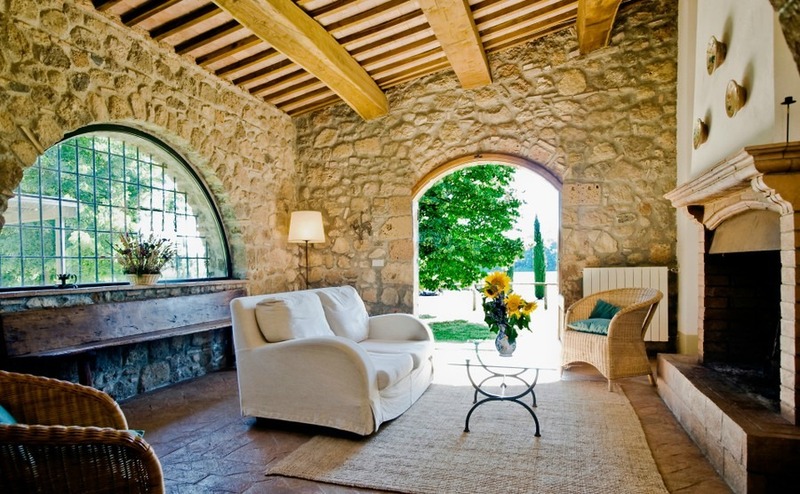 After viewing a country house in Italy once, return on a weekend evening to listen for noise. It’s amazing how far sound travels across open countryside, especially if the old boy next door has a karaoke machine. The music and fireworks from country hotels that provide wedding parties can be heard for miles around. Look on Google Earth for any nearby factories, sewage works, rubbish points, quarries and hotels that may create noise, smells or dust. While admiring the amazing view across rolling hills, consider how many of them you are prepared to drive over on a wet day for a pint of milk. Be clear on where the boundaries of the property are and note whether they are marked with walls, fencing etc. The cost of fencing and gating a large plot can work out expensive, but they may be necessary to keep out wild animals or hunters. Own a country home and you’re more than likely to need a car. If you plan to rent your property to tourists they will also need access to car hire and good roads. Check bus and train links to the airport and nearby towns. In some parts of the country the availability of ferries, cable cars and bike routes may also be of interest. Look at what type of ground the building stands on. Check for possible problems such as landslides, subsidence, flooding and lack of a solid foundation with damp course. Single thickness walls sometimes have damp problems and the paint just flakes off. Some people have remedied this by using rigid panels of polystyrene foam on outside walls. Check for signs of damp and stress cracks. Try and get a good look at the roof and any timbers in the property. Look for signs of “concrete cancer”, which might appear as rusty metal and cracking of concrete underneath balconies. Make a note of the number of windows, doors and shutters that need replacing or repair. New timbers, windows and doors can be a big expense. As you approach the property look out for electric cables going to a meter box, often near the entrance. Always ask how much electric is supplied to the house. Many country homes are only supplied with 3.5 kilowatts, but if you plan on living there year-round and using a lot of electrical appliances you will want to be connected to a minimum supply of 5.5 kilowatts. Light switches in the house aren’t necessarily an indication that it was ever connected to an electric supply, other than a portable generator. If the electric has been turned off it may have an outstanding debt on it. For properties needing renovation the cost of total rewiring will need to be taken into consideration. Even if the wiring is sound you may need extra European two-pin plug sockets rather than the old Italian three pins in a row. If you’re buying a property without electricity you’ll need to apply asap after you buy. You will be charged for the extra poles bringing the cable to your property. In our own area, Puglia, it can take over a year for electricity to be supplied after the application has been placed! While waiting for our electric connection we bought a generator for use with power tools and the cement mixer. Then our electrician wired the house ready to be connected as soon as Enel eventually arrived with the supply. Where does the water supply come from? And where does the waste water go? Both are important questions when viewing country houses in Italy. Artesian wells are great and just require electricity to pump the water up from the water table. Some old houses may just have collected rain water from the roof into an underground cisterna (water tank). Many of these are still used, but owners instead have the water delivered by truck. Sometimes waste water that goes into a septic tank also needs to be collected by truck. In both cases you need to be aware what the charge is for this service and check you receive the correct amount (this also applies to gas). If the property needs all new plumbing, waste water pipes and septic tank, as well as the cost of installation also consider where this piping will go. Will it involve pulling up floors and digging deep trenches across the garden? Where does the water supply come from? And where does the waste water go? When viewing on a hot summers day it is easy to forget about heating. Even in southern Italy you’ll need some heating in winter. So, don’t forget to check out what is already there and what additional heating maybe needed for all year round living. Wood burning stoves are great and if the house comes with plenty of trees, even better. Free wood! For hot water, solar panels are also a great bonus. Getting a good mobile or internet connection in the countryside can be a challenge. (Frankly, you’re unlikely to get a landline phone or even post delivered). The quality of the service and signal can vary greatly within quite a short distance. Ask the current owners what they use, or ask a neighbour and other expats through a local forum or facebook page. We currently use Linkem, which costs €24.90 per month for unlimited internet. They came and put a small square receiver on the roof connected to a wifi box in the house. With regard to post, we pay for a box in a nearby town and they will also take in our parcel deliveries. Post Offices also offer a similar service. Will you want to adapt or renovate the property? If so, how easy and how expensive might this be? The estate agent should help you answer these questions and may suggest a building contractor that they work with regularly. But, also get independent quotes. I would recommend trying to find a property that meets your needs without requiring an extension. The extra cost of gaining permissions can be high. 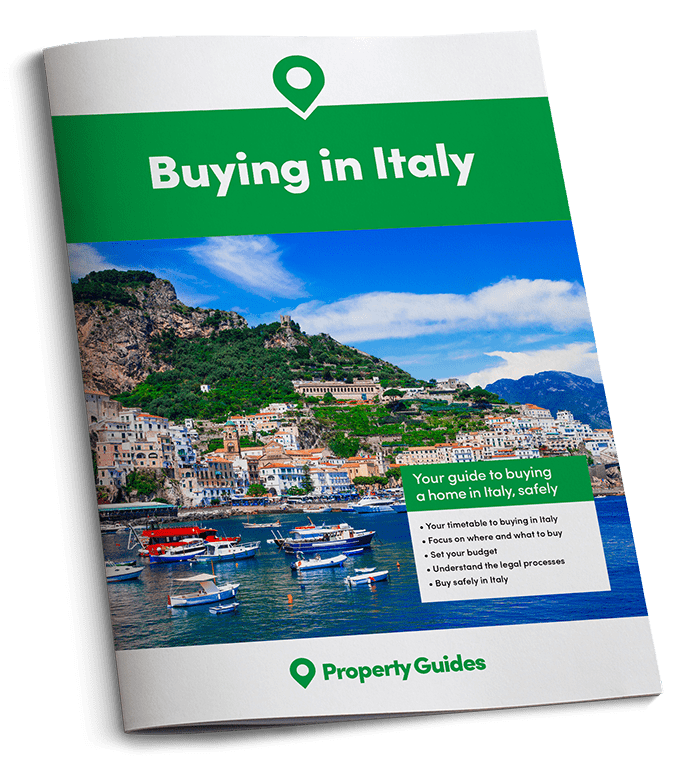 Get three quotes in writing for every job needed on the property and get recommendations from both expats and local Italians. The guy who treats you like an old friend and says “Don’t worry it won’t cost much” is generally the one who doesn’t do written quotes and whose price creeps up and up. Don’t feel obliged to give the job to the nice bloke who gave you tomatoes from his garden. They could turn out to be very expensive tomatoes. The estate agent should be able to provide details of the on-going costs of the property. Ask about local taxes, usual electricity costs, water delivery charges, pool maintenance, heating costs etc. Many people with gas or electric heating are now switching to wood or pellet. If you have land, how much does it cost for the upkeep of the land? Who currently does this? The estate agent should be able to provide details of the on-going costs of the property. Some country properties will already have a rental income, but check the accounts if you’re paying extra for the trade. For properties with new rental potential, check out what else is available in the area for comparison. Does it look attractive in photographs? Does it have a pool and charming Italian features? How close is it to restaurants, the airport and places of interest? If the property has land, does this generate any income? Possibly from olives, grapes, fruit or nuts. When viewing country houses in Italy, you need to train yourself to look past the furniture and décor and concentrate on the building. In most cases, houses in Italy aren’t sold with furniture, and some Italian owners won’t even leave you the kitchen and light fittings. So, it is worth asking at an early stage what is included in the sale. If buying from another expat they are more likely to consider selling you some items of furniture, particularly if the property had been used as a holiday rental. New kitchens and bathrooms are a big expense, so make sure you allow for this in your budget. Most importantly, when viewing property don’t be pressurised into making a quick decision. If you are interested after the first walk around, ask to walk round a second time, making notes, taking photos and measurements. Go away and make further enquiries regarding the area and costs of any work needed on the house and land. We immediately found the local builders yard and plumbing shop and worked out the cost of materials for the work needed. You can even get tradespeople to give you quotes. Go back for a second viewing at a different time of day. Before making an offer make sure the paperwork on the property is all in order, enabling a smooth fast purchase. Properties with multiple owners and parts of the building or land not registered on the deeds can cause big delays. When you find the right property, it will speak to you and you will feel that buzz of “Yes, this is it, this is the one”.